Istragrafika is a leading European manufacturer and exporter of retail and consumer goods packaging. The company employs environmentally friendly processes and materials in its operations and manufacturing to minimize pollution and waste. 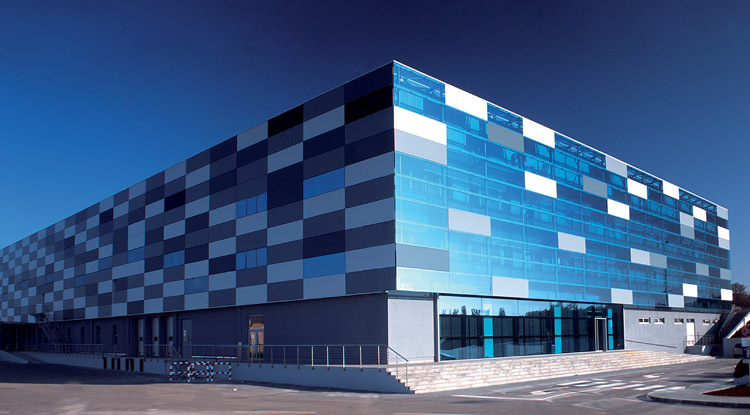 Istragrafika also applied this principal when renovating their facility in Istria, Croatia. Applying the "green" principles of adaptive reuse, the company reused an existing structure - giving it a design and functional facelift - instead of demolishing it, which would have created significant landfill waste. 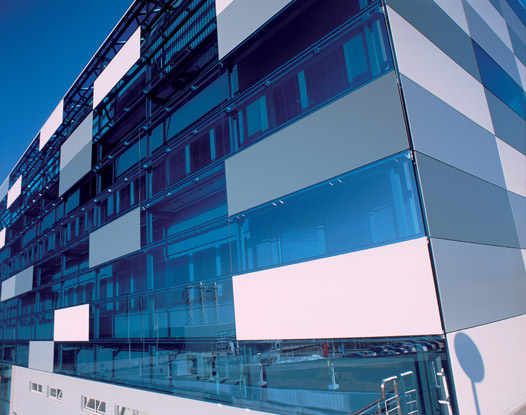 The renovation centered on an innovative re-cladding of the entire building with the QuadroClad façade system, designed by Architect Professor Kincl and installed on top of the existing structure. This new ventilated façade significantly upgraded the building envelope. 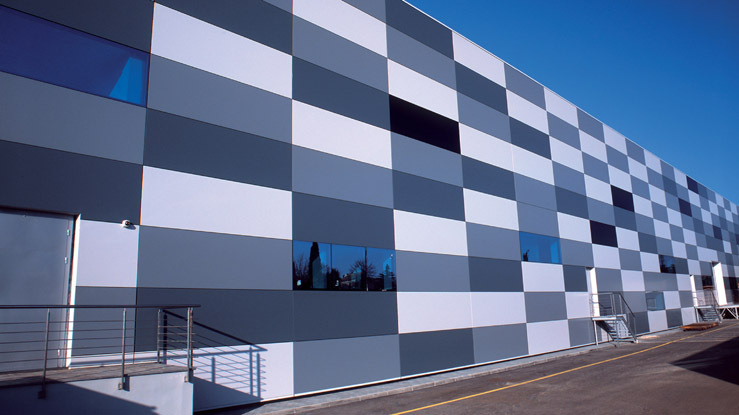 Using principles of pressure equalization, the QuadroClad rainscreen re-wrapped the building in an insulating and weatherproof blanket. The design effect, however, is perhaps the most striking. Kincl arranged the panels in an abstract pattern of QuadroClad glass and aluminum panels, all installed on the same plane for a smooth, sleek aesthetic. The panels themselves feature a durable finish and are mounted to a substructure rated to withstand wind loads. The result is a high-performance, visually interesting façade that changes depending on the time of day and the weather conditions. The refitted metal-and-glass exterior now offers a true as well as symbolic reflection of its environment.